What is Zeaxanthin? Zeaxanthin (pronounced zee-ah-ZAN-thin) is a yellow antioxidant pigment that gives many fruits and vegetables their characteristic color and taste. It is a distinguishing pigment in sweet corn, saffron, oranges, orange-colored peppers, tangerines, and egg yolks, as well as in a number of fruits and vegetables in which the yellow color imparted by zeaxanthin is much more subtle. These zeaxanthin foods include paprika, goji berries, turnip greens, kale, collard greens, romaine lettuce, zucchini, kiwifruit, English peas, Swiss chard, and Brussels sprouts. Zeaxanthin is also essential to eyesight. In the retina of the eye, zeaxanthin absorbs ultraviolet radiation that otherwise could injure the retina. Damaging radiation from sunlight falls on a dark blue pigment called violaxanthin. As the violaxanthin absorbs the UV rays, it is converted to an intermediate, reddish pigment called antheraxanthin, and then into the yellowish zeaxanthin, which completes the absorption of the light energy. Enzymes in the eye can convert zeaxanthin back into antheraxanthin to start the protective cycle all over again. Zeaxanthin in food provides the initial raw materials for the protective process. Zeaxanthin is a chemical cousin of another eye health nutrient called lutein (pronounced LOO-tee-in). Lutein also has a yellowish to reddish color, depending on how concentrated it is in a tissue. Like zeaxanthin, lutein absorbs blue, violet, and ultraviolet light. Lutein is more concentrated around the outer edges of the retina at the back of the eye, while zeaxanthin is more concentrated in the middle. Lutein is especially abundant in kale, collard greens, and spinach. Both zeaxanthin and lutein are soluble in fat, rather than in water, so they are better absorbed from food when it is eaten with at least a little fat. Unlike most nutrients, cooking foods that contain zeaxanthin and lutein actually increase the available nutrient content, by breaking down plant walls so the digestive process can capture these two important antioxidants. Plant foods contain about 20 times as much zeaxanthin and lutein as animal foods, and supplements are absorbed about twice as completely as food. How Important Is Zeaxanthin for Eye Health? The reason you always see zeaxanthin and lutein together in nutritional supplements is that both antioxidants are needed for eye protection. They are absorbed together, they both are transported through the bloodstream on the lipoproteins that also carry cholesterol. Taking just zeaxanthin or just lutein would not be as effective as taking both, and the two eye health nutrients are recharged by beta-carotene, vitamin C, and vitamin E.
One of the most important functions of zeaxanthin with lutein is protecting against degeneration of the macula of the eye. The macula is an oval, yellow spot in the middle of the retina. 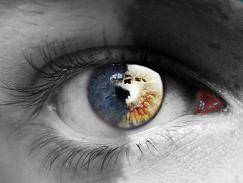 It is the part of the eye that provides fine vision for small details and small distinctions in color and depth. It is also the part of the eye that absorbs the most ultraviolet light with the help of lutein, primarily at its periphery, and zeaxanthin, primarily in its center. Damage to the macula destroys central vision, in extreme cases leaving a dark tunnel in the middle of the field of sight. Macular degeneration is the most common cause of blindness in the industrialized world. In the United States, 1 in 10 people develops some degree of macular degeneration by the age of 60, and 1 in 4 by the age of 75. Although macular degeneration can strike at any age, it is very rare before the age of 60, and the condition is typically referred to as age-related macular degeneration, or ARMD. Nearly 2 million people in the United States are blind as a result of ARMD. ARMD occurs in two forms, dry and wet. In the dry form of ARMD, chemicals secreted by the immune system form tiny clumps known as drusen. Nearly everyone has some drusen in the retina by the age of 40, but they only interfere with vision when they become numerous. These proteins form clumps of debris known as drusen that can slowly destroy the rods and cones in the retina above them. Very few people suffer measurable vision loss from the accumulation of drusen before the age of 60. In the wet form of ARMD, blood vessels beneath the retina being to leak. They repair themselves by forming scar tissue which stops the flow of oxygen and nutrients to the retina above them. This causes the formation of blind spots in the center of the field of vision. Dry ARMD progresses to blindness only slowly, and may not lead to blindness at all. Wet ARMD progresses to blindness relatively quickly. People who have dry ARMD sometimes develop wet ARMD as drusen harden. Epidemiologists have found that people who consume a combination of zeaxanthin and lutein enjoy some protection against macular degeneration. The Eye Disease Case Control Study found that people who had consumed the largest amounts of zeaxanthin and lutein combined, 6 mg a day, had 57% lower rates of ARMD than people who had consumed the smallest amounts of zeaxanthin and lutein combined, 0.5 mg a day. A follow-up study by the Age-Related Eye Disease Study Research Group found that even a smaller amount of zeaxanthin and lutein in the diet, 3.5 mg a day, reduced the risk of wet ARMD by 37% and the risk of dry ARMD by 27%. Taking a multivitamin supplement did not hold any benefits for the prevention of macular degeneration, but taking vitamin E and beta-carotene lowered the risk of the more severe, wet form of ARMD. Zeaxanthin and lutein: At least 3 mg up to 20 mg per day. It's OK to use a supplement than contains meso-zeaxanthin. This is a form of zeaxanthin as it is used by the eye that does not occur in food, but which is useful in eye health. Mixed carotenoids (containing alpha-, beta-, and gamma-carotene): 50,000 IU per day. Selenium: 400 micrograms per day. Vitamin E: 400 IU per day. Zinc picolinate: 30 mg per day. I'll be frank. When I know I have consumed more than 5 mg zeaxanthin and lutein in my food for the day, I don't take the supplement. I happen to like kale, orange peppers, tangerines, and saffron. But if I did not eat yellow and orange vegetables and fruit every day, I would be very careful to take the supplement. I know that in at least one case, changes in diet can reverse macular degeneration. I myself developed dry macular degeneration at the age of 27, when I was a student at Berkeley and I was pursuing a physically vigorous lifestyle (skiing, mountain hikes every weekend) while eating a nearly fat-free vegan diet. In my own case, I simply did not eat enough fat to absorb lutein, zeaxanthin, and vitamin E, and I started developing age-related eye disease in my 20's because I was taking a "healthy diet" too far. A little bit of fat in the diet actually helps, as do the supplements. In the nearly 30 years since I first developed drusen, they have not returned. A cataract is a clouding of the lens of the eye caused by oxidation and cross-linking of the proteins inside it. Scientists don't yet really understand what causes a cataract, but there seem to be several things all going wrong over a period of years. The outer layer of the cornea, known as the epithelium, becomes "flaky" as too many cells build up. zeaxanthin and lutein help restore normal turnover of epithelial cells. The lens itself accumulates spent glutathione antioxidants. Vitamins C and E help recharge glutathione. The sclera, of the "whites of the eyes" are less able to deliver fluid to the lens, so proteins that normally are removed back into the bloodstream accumulate and precipitate in the lens. Byproducts of sugar metabolism cross-link proteins so that light no longer passes through them. Because the lens is at the "equator" of the eye, it gets the greatest exposure to harmful UV rays from the sun. In 2004, the Wilmer Eye Institute estimated that 22 million Americans over the age of 40 (17% of the population over 40) had some degree of cataract formation in at least one eye, although only 6 million (6% of the population over 40) suffered loss of sight. Rates of cataracts are even higher in Africa and India, although they are somewhat lower in Europe. Women are more likely to develop cataracts than men. People who spend more than 7 hours a day in the sun are at greater risk for cataracts, as are people who have lost most of their teeth. How can you tell if you might be developing a cataract? Usually the first sign is difficulty seeing objects up close. Unlike farsightedness, a cataract causes problems with near vision in just one eye (although it is possible to have cataracts in both eyes). As the cataract grows, it may cause distortion of color perception and depth perception. A cataract at the back of the lens can cause seeing double or seeing halos around bright lies. A cataract in the center of the lens can cause nearsightedness. Only a doctor can diagnose cataracts. It is a very simple procedure. The ophthalmologist examines the eyes with a red light than makes white cataracts appear black. When my grandmother had cataract surgery in 1968, it was necessary for the patient to stay in bed with the head blocked by sandbags for a week. My grandmother became impatient, through off the sandbags, and went blind. Nowadays, a cataract operation is a day patient procedure that takes about half an hour, the patient sent home within 2 or 3 hours. It is not unheard of for a cataract operation to go wrong, but it is very rare for anyone to lose sight as result of the procedure, and there are no complications at all about 92% of the time. But it may be necessary to wait 1 to 3 years before the cataract is an optimal size for extraction, and it may be necessary to wait another 1 to 3 years for insurance coverage or surgery authorization. Prevention is superior to cure. What do we know about zeaxanthin and lutein in the prevention of cataracts? The Nurses Health Study tracked zeaxanthin and lutein consumption for 12 years in 77,446 female nurses aged 45 years and older in the United States. The nurses who had the highest consumption of dietary zeaxanthin and lutein had a 22% lower rate of cataract surgery than the nurses who had the lowest consumption of zeaxanthin and lutein. Also, a tiny study involving just 17 people who already had cataracts found that taking 15 mg of lutein a day reduced sensitivity to glare and increased fine vision. But the greatest benefits for cataracts protection don't come from zeaxanthin and lutein, they come from vitamin C and vitamin E, preferably taken over long periods of time. One research study found that taking a multivitamin that contains both vitamin C and vitamin E reduced rates of cataracts by 30%. Another research study found that taking 400 IU of vitamin E every day reduces the risk of cataracts by 56%. A third research study found that taking both vitamin C and vitamin E reduces the risk of cataracts by 70%. And the Nurses Health Study found that female nurses who had taken supplemental vitamin C for at least 10 years had 77% lower rates of "moderate" lens opacities and 83% lower rates of "severe" loss of sight due to cataracts. If you are just going to take one supplement for prevention of cataracts, it should be a combination product that provides vitamin C and vitamin E. If you also have a family history of macular degeneration, then you should add a product that contains both zeaxanthin and lutein along with the other nutritional supplements listed for ARMD. You should also consider supplemental zeaxanthin and lutein if you take certain drugs that interfere with the body's absorption and use of these nutrients. The cholesterol-lowering medications Colestid (colestipol) and Questran (cholestyramine) interfere with the gut's ability to absorb zeaxanthin and lutein. If you take either of these medications for high cholesterol, you should take supplemental zeaxanthin and lutein, and also vitamin E and vitamin K. Take these supplements at different time of day from when you take your cholesterol medication, preferably at a meal at which you consume at least a little fat. It only takes 3 to 5 grams of fat (30 to 50 calories) at a meal for your body to absorb the fat-soluble zeaxanthin, lutein, E, and K.
Aciphex, Losec, Prevacid, Prilosec and other proton-pump (H2) inhibitors for heartburn and gastroesophageal disease raise the pH of the stomach and reduce the absorption of zeaxanthin, lutein, and beta-carotene. If you take these medications, take beta-carotene or mixed carotenoids as well as zeaxanthin and lutein at a different time during the day, preferably at a meal at which you consume at least a little fat. The pectin in stone fruit such as peaches and apricots also interferes with the absorption of zeaxanthin, lutein, and beta-carotene. 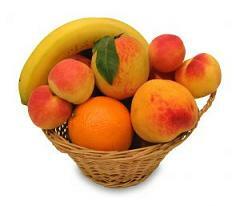 Try not to take zeaxanthin and lutein at the same meal you eat peaches or apricots. The people of Fiji consume a diet that is especially rich in zeaxanthin and lutein, up to 25 mg a day. There are no known zeaxanthin side effects from the Fijian diet. Since their diet causes no ill effects, it seems reasonable to suppose a dosage of up to 25 mg of zeaxanthin and lutein from supplements is safe. This is more than the body needs, however. Up to 20 mg of lutein and zeaxanthin may be helpful in preventing or treating eye disease. You need at least 3 mg a day to prevent deficiency. The safety of lutein and zeaxanthin during pregnancy has not been tested, so, to be on the safe side, women who are pregnant or breastfeeding should get lutein and zeaxanthin from food sources. Q. What about taking a supplement that includes astaxanthin with zeaxathin and lutein? A. This is primarily for cardiovascular health. It's fine to take them together for cardiovascular health. 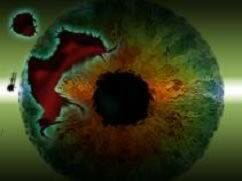 The Fondazione G. B. Bietti-Istituto di Ricovero e Cura a Carattere Scientifico in Rome has conducted a small-scale study of the use of astaxanthin as a treatment for age-related macular degeneration along with zeaxanthin and lutein, and gotten good results, but there is no solid evidence is it useful for prevention. Age-Related Eye Disease Study Research Group. A randomized, placebo-controlled, clinical trial of high-dose supplementation with vitamins C and E, beta carotene, and zinc for age-related macular degeneration and vision loss: AREDS report No. 8.Arch Ophthalmol.2001;119(10):1417-1436. Age-Related Eye Disease Study Research Group. A simplified severity scale for age-related macular degeneration.Arch Ophthalmol.2005;123(11):1570-1574. Age-Related Eye Disease Study Research Group. Risk factors associated with age-related macular degeneration: a case-control study in the Age-Related Eye Disease Study. Age-Related Eye Disease Study report number 3.Ophthalmology.2000;107(12):2224-2232. Age-Related Eye Disease Study Research Group. The Age-Related Eye Disease Study (AREDS): design implications AREDS report no. 1.Control Clin Trials.1999;20(6):573-600. Age-Related Eye Disease Study Research Group. The Age-Related Eye Disease Study severity scale for age-related macular degeneration.Arch Ophthalmol.2005;123(11):1484-1498. Age-Related Eye Disease Study Research Group. The Age-Related Eye Disease Study system for classifying age-related macular degeneration from stereoscopic color fundus photographs: the Age-Related Eye Disease Study Report Number 6.Am J Ophthalmol.2001;132(5):668-681. Age-Related Eye Disease Study Research Group. The relationship of dietary lipid intake and age-related macular degeneration in a case-control study: AREDS Report No. 20.Arch Ophthalmol.2007;125(5):671-679. Ambati J, Ambati BK, Yoo SH, Ianchulev S, Adamis AP. Age-related macular degeneration: etiology, pathogenesis, and therapeutic strategies.Surv Ophthalmol.2003;48(3):257-293. Beatty S, Koh H, Phil M, Henson D, Boulton M. The role of oxidative stress in the pathogenesis of age-related macular degeneration.Surv Ophthalmol.2000;45(2):115-134. Boulton M, Dayhaw-Barker P. The role of the retinal pigment epithelium: topographical variation and ageing changes.Eye.2001;15(pt 3):384-389. Boulton M, Roanowska M, Wess T. Ageing of the retinal pigment epithelium: implications for transplantation.Graefes Arch Clin Exp Ophthalmol.2004;242(1):76-84. Cho E, Seddon JM, Rosner B, Willett WC, Hankinson SE. Prospective study of intake of fruits, vegetables, vitamins, and carotenoids and risk of age-related maculopathy.Arch Ophthalmol.2004;122(6):883-892. Congdon N, O'Colmain B, Klaver CC; et al. Causes and prevalence of visual impairment among adults in the United States.Arch Ophthalmol.2004;122(4):477-485. Eye Disease Case-Control Study Group. Antioxidant status and neovascular age-related macular degeneration.Arch Ophthalmol.1993;111(1):104-109. (published correction appears inArch Ophthalmol. 1993;111(9):1228,Arch Ophthalmol. 1993;111(10):1366, andArch Ophthalmol. 1993;111(11):1499). Flood V, Smith W, Wang JJ, Manzi F, Webb K, Mitchell P. Dietary antioxidant intake and incidence of early age-related maculopathy: the Blue Mountains Eye Study.Ophthalmology.2002;109(12):2272-2278. Friedman DS, O'Colmain BJ, Munoz B; et al. Prevalence of age-related macular degeneration in the United States.Arch Ophthalmol.2004;122(4):564-572. Krinsky NI, Landrum JT, Bone RA. Biologic mechanisms of the protective role of lutein and zeaxanthin in the eye.Annu Rev Nutr.2003;23:171-201. Kurinij N, Gensler G, Milton R, AREDS Research Group. Development and validation of a food frequency questionnaire in a randomized trial of eye disease. Paper presented at: The International Conference on Dietary Assessment Methods; May 7, 1998; Phoenix, AZ.Landrum JT, Bone RA. Lutein, zeaxanthin, and the macular pigment.Arch Biochem Biophys.2001;385(1):28-40. Mares-Perlman JA, Brady WE, Klein R; et al. Serum antioxidants and age-related macular degeneration in a population-based case-control study.Arch Ophthalmol.1995;113(12):1518-1523. Mares-Perlman JA, Fisher AI, Klein R; et al. Lutein and zeaxanthin in the diet and serum and their relation to age-related maculopathy in the third national health and nutrition examination survey.Am J Epidemiol. 2001;153(5):424-432. Mares-Perlman JA, Klein R, Klein BE; et al. Association of zinc and antioxidant nutrients with age-related maculopathy.Arch Ophthalmol.1996;114(8):991-997. Moeller SM, Parekh N, Tinker L; et al. Associations between intermediate age-related macular degeneration and lutein and zeaxanthin in the Carotenoids in Age-related Eye Disease Study (CAREDS): ancillary study of the Women's Health Initiative.Arch Ophthalmol.2006;124(8):1151-1162. Rosner B, Willett WC. Interval estimates for correlation coefficients corrected for within-person variation: implications for study design and hypothesis testing.Am J Epidemiol.1988;127(2):377-386. Sanders TA, Haines AP, Wormald R, Wright LA, Obeid O. Essential fatty acids, plasma cholesterol, and fat-soluble vitamins in subjects with age-related maculopathy and matched control subjects.Am J Clin Nutr.1993;57(3):428-433. Seddon JM, Ajani UA, Sperduto RD; et al. Dietary carotenoids, vitamins A, C, and E, and advanced age-related macular degeneration.JAMA.1994;272(18):1413-1420. Smith W, Mitchell P, Webb K, Leeder SR. Dietary antioxidants and age-related maculopathy: the Blue Mountains Eye Study.Ophthalmology.1999;106(4):761-767. Snellen EL, Verbeek AL, Van Den Hoogen GW, Cruysberg JR, Hoyng CB. Neovascular age-related macular degeneration and its relationship to antioxidant intake.Acta Ophthalmol Scand.2002;80(4):368-371. Taylor HR, Tikellis G, Robman LD, McCarty CA, McNeil JJ. Vitamin E supplementation and macular degeneration: randomised controlled trial.BMJ.2002;325(7354):11. VandenLangenberg GM, Mares-Perlman JA, Klein R, Klein BE, Brady WE, Palta M. Associations between antioxidant and zinc intake and the 5-year incidence of early age-related maculopathy in the Beaver Dam Eye Study.Am J Epidemiol.1998;148(2):204-214. Winkler BS, Boulton ME, Gottsch JD, Sternberg P. Oxidative damage and age-related macular degeneration.Mol Vis.1999;5:32.